What a great time it is to be a Laker! We are very excited to celebrate our 50th anniversary with all of you throughout the next academic year. The summer weeks seem to being going by quickly as we begin preparing for the fall semester. I can only imagine the excitement Lake Land College’s first president Virgil H. Judge and our original faculty and staff members felt 50 years ago as they registered students for their new college. Although our preparations have evolved in the past five decades, the care in which we approach each semester, and most importantly, each student has not. Just as our predecessors, we can’t wait to meet our incoming freshmen and also welcome our returning sophomores. Getting to know our amazing students and share in their accomplishments is one of the best aspects of being a part of Lake Land College. And, just as they did 50 years ago, we invite you to be part of this excitement. How wonderful it would be to look back and tell your family members you were a member of the 50th class of students to enter Lake Land College. Whether you are interested in taking one class at a time or starting your journey toward a workforce or transfer degree, we are here to help you! It’s easy to get started and there are several openings in New Student Orientation leading up to the fall semester. I hope you enjoy this issue of the magazine that intertwines college history into the great opportunities that await you! Go Lakers! On the cover: Jake Koester, Laker Nation Class of 2011, manufacturing engineer at Hydro-Gear. THE LAKE LAND COLLEGE MAGAZINE is published three times a year for the residents of Lake Land College District #517 by Marketing & Public Relations at Lake Land College, 5001 Lake Land Blvd., Mattoon, IL 61938. This magazine will introduce you to Lake Land College and provide you with resources to get started or continue your education with us. For inquiries, contact Marketing & Public Relations at 217-234-5215. Views and opinions expressed by individuals in this publication do not necessarily reflect the views of Lake Land College. FALL CLASSES BEGIN AUGUST 21! Register by August 18. WANT TO LEARN MORE ABOUT BECOMING A LAKER? Visit us @ lakelandcollege.edu and look for the “Learn More” button. of the college’s existence, Lake Land students created a student newspaper and named it Lake Land Press. In the issue dated March 25, 1968, Vol. 1, No. 7, then-President Virgil H. Judge mentioned the University of Illinois’ celebration of 100 years of existence, wondering what Lake Land College would look like when it celebrated its century of life. changing developments in higher education while providing access to quality and affordable education. Creativity and innovation are the hallmarks that have propelled us to experience the monumental growth in service, academic offerings and enrollment that we have enjoyed in these past 50 years. And, keeping an eye on the future is “Lake Land College is in its first year, a mere omniscient at Lake Land College. Not only is infant. We believe the infant to be healthy, it woven into our strategic planning and daily growing rather rapidly work, it is reflected back to with good, red blood us in the eyes of students we coursing through its body. “CREATIVITY AND meet each day on campus. What will the youthful Just as it did when the first INNOVATION ARE THE college be like in 100 classroom doors opened on years? Will it show signs HALLMARKS THAT September 6, 1967, Lake of old age, with its joints Land College exists so that HAVE PROPELLED creaking, skin wrinkled, our students, employers and US TO EXPERIENCE hard of hearing, nearly communities have access to blind and lacking in THE MONUMENTAL the tools they need to build discernment and showing successful futures. GROWTH IN SERVICE, all the other signs of ACADEMIC OFFERINGS degeneration, or will it How did we get here? continue to be young AND ENROLLMENT Through the amazing and, perhaps, live forever dedication and commitment THAT WE HAVE by exercising creativity, of the men and women in ENJOYED IN THESE innovation, keeping its the 1960s who created an eyes on the future, serving PAST 50 YEARS. “ entirely new college, with the needs of humanity and entirely new opportunities for keeping a paid up policy our area. with national health care?” As the current president of Lake Land College, I am happy to report we continue to be a healthy, growing college mid-way through this century-long journey. It would be difficult for a visitor to know our campus has existed since 1971 – the pristine condition of the grounds, buildings and classrooms does not reveal our age. Not only did they meet all of the regulations and requirements, they deliberately created a culture that put students first. This mindset has guided the success of Lake Land College for the first 50 years and will well into the next. We hear time and time again from prospective students and visitors – you have such a caring environment. We take pride in this, and we know our founding fathers would too! Students took classes at various locations around the city of Mattoon. A campus site was selected and review of architectural firms was underway. 317-acre campus with 9 major buildings & 6 supportive buildings; 3 extension centers & 19 Illinois Department of Corrections sites & 2 Illinois Department of Juvenile Justice facilities. Students interested in entering the health care field have a new option at Lake Land College. The newly adopted Medical Assistant major will prepare students for a career in a high demand field providing both clinical and administrative services in health care settings. “We were first approached by Sarah Bush Lincoln Health Systems about the need for this program and then worked with several area facilities to create a curriculum that meets the skills needed in a certified medical assistant,” Division Chair Allied Health/Nursing Instructor Karla Hardiek said. Students have the option of selecting a three semester certificate program or a five semester associate degree. Both options offer an externship that allows students to gain real life work experience. patients for examination, drawing blood and administering medications as directed by a physician. For more information about this program, contact Hardiek at 217-234-5448 or khardiek21524@lakelandcollege.edu. repair and maintenance; merchant wholesalers and durable goods. The program is being offered through a partnership with the Effingham County Chamber of Commerce and Effingham Community Unit 40. According to Effingham County Chamber President & CEO Norma Lansing, area manufacturers have a great need for employees with welding skills. To get started stop by the Kluthe Center, call 217-530-3555 or visit us at lakelandcollege.edu. Opening in August of 1995, the Kluthe Center for Higher Education and Technology was the college’s first permanent extension center. Named after the late Minnie Kluthe, whose estate donated $250,000 to the college, the center opened to an excited Effingham community. *Class not part of basic welding certificate, but students will gain additional welding proficiency by taking it. At one time in her young life, Diane Sterchi felt she was not smart enough to go to college. “I struggled in high school even with an 85 percent average. I felt I was not smart enough to go through or even get into a four-year college,” she recalled. She started working in a factory where she grew up in Reading, Pa., but knew that was not what she wanted to do for the rest of her life. “To make a change in my life, I joined the Navy. The main reason was to get out of the city. The other was that I was at the age where we were protesting the Vietnam War and I wanted to stop protesting and find out how to serve my country,” Sterchi said. Veterinary School. Sterchi moved on to more exclusive jobs at top-end bio-medical companies, such as Eli Lilly & Co., crediting her success to having Ruskin as her mentor throughout her journey until his passing. Recently, the Lake Land College Board of Trustees presented the 2017 Alumnus Achievement Award to Sterchi for her outstanding success and distinction in her field. “Diane has presented as an expert in the field of histotechnology all over the world including China. She is often called upon to help others in the profession with difficult cases and in training and grading others. Her current passion in developing curriculum ensures that she will leave a legacy in her profession. With each honor, position and opportunity, Diane promotes her Lake Land College education,” said Jacqueline Joines, executive director for college advancement and nominator. Sterchi is now a “retired” independent histotechnology consultant, the president of the National Society for Histotechnology and a member of the American Society for Clinical Pathology. Along with receiving numerous employment opportunities, Sterchi has gone on to share her expertise through countless presentations, papers and even training other histotechnologists around the world. She has also served on numerous boards and committees as an executive officer, competitive judge and curriculum consultant. Sterchi, Laker Nation Class of 1975, has an associate degree in science from Lake Land College; bachelor’s degrees in both zoology and chemistry from Eastern Illinois University; and a master’s degree from Indiana Wesleyan University. She has taken graduate courses from the University of Illinois. She and her husband now live in New Palestine, Ind. They have been married for 46 years and have a daughter. the softball team, 2017 marked the 11th time it has been named an NJCAA Division One Academic Team for earning a team GPA of 3.0 or above. Alina Lance is a sophomore from New Athens, Ill., who chose to attend Lake Land for the team’s successful results on the field and in the classroom. Lance believes the team remains strong academically because of the tight bond players share. “We’re able to keep each other accountable in the classroom, making sure we get to our classes and that our homework is finished,” Lance said. HISTORY OF LAKER SOFTBALL The Laker softball team made its official debut in March of 1990 under the direction of Coach Cathy Bunton. Three years earlier, the college sponsored a club team that competed with other colleges. However, due to a lack of participation it was cancelled in 1988. Bunton was hired as the first full-time women’s coach in Lake Land’s history. She coached volleyball and then added softball. She continues to teach on campus today. Softball was the college’s third women’s sport. Volleyball and basketball were formed in 1974 and were coached by Rosalie Johnson. 2016-2017 LAKER ATHLETES MAKE HISTORY For the first time in Lake Land College’s history, all five Laker teams were recognized as NJCAA Academic Teams. To qualify for this honor, the team must have a combined GPA of 3.0 or higher. “Our athletic program develops young men and women to reach their potential both in play and in the classroom. 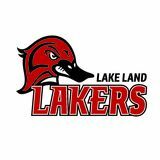 Our focus on academics is reflected in the achievements of our current athletes and we are very proud of them,” Lake Land College Athletic Director Bill Jackson said. As the world of manufacturing advances and becomes more sophisticated, engineers are relying more and more on a small device called Programmable Logic Controllers, or PLCs. “It’s kind of like the evolution of the cell phone. At one time all you could do was call on a cell phone. Now, it is a computer/TV/ phone. The same evolution is happening in manufacturing. Fields of hydraulics, pneumatics, electronics and computers are combining in this industry, rather than working in separate silos. PLCs tie the fields together,” Electronics Engineering Technology Instructor Michael Beavers explains. HIGH DEMAND FIELD There are numerous job opportunities in our region. “I continue to get calls on a weekly basis from companies who need someone with PLC skills. PLC knowledge is an excellent skill to have in the job market,” Electronics Engineering Instructor Michael Beavers said. Alumnus Jake Koester agreed. “To any student thinking about going into PLC studies or the electrical field, I would highly recommend it. Seeing the workforce that is out there and traveling to numerous plants, PLC programmers are somewhat hard to come by.” Carbondale and earned a bachelor’s degree in electrical systems with a focus in controls. During his college career, Koester gained valuable work experience at internships at Kendall Energy in Minooka, Ill., Quad Graphics in Effingham and Aisin Electronics in Marion, Ill. “In my opinion, just my experience in the classroom with PLCs had a huge part in landing these summer jobs. PLC questions were in every interview I have ever had,” Koester, Laker Nation Class of 2011, said. Koester’s first job after college was at Versatech LLC in Effingham where, as the control engineer, he programmed PLCs, robots, lasers and vision systems. After five years, he moved on to his current job as a manufacturing engineer at Hydro-Gear in Sullivan. Like many students who enroll at Lake Land College, Tichenor had some prior industry experience, but soon learned about the advancements in PLC technology in modern manufacturing. “After my graduation, I received excellent help with job placement and career opportunities,” Tichenor added. One of these opportunities was to design from the ground up a complete volume metric and a declining weight conveying system for farm chemical supply companies across the world. Tichenor said he learned all about Automation Direct PLCs, Mitsubishi VFDs, AutoCad and the wiring of large electrical panels. “I had this huge room all to myself with a huge corner desk and I got to develop the entire system. Within the first year we were installing my system at our first farm supply business. And after that success, I was installing our system all over the world including Canada and South Africa,” Tichenor, Laker Nation Class of 2009, explained. A PLC is a computerized control system that a person programs to automate machinery and perform specific functions. It controls the timing of machine parts, whether something is on or off, what direction a piece of equipment moves and how a sequence of events progresses to make a product. It can measure such things as weight, pressure and temperature. traditional classroom learning, Lake Land College students are coming together to “make” the most of their college experience. Technology Division students recently formed a student group called the Makers Club. Meeting in the West Building, members tackle challenging projects that utilize their diverse skillsets, such as laser printing 3D VR glasses and refurbishing a model plane. Faculty sponsor Leo Kitten aims to have a club where students of different technological majors can come together to interact and make memories by integrating mechanics, design, electronics and more. “I want this club to be something the students can remember Lake Land by. It’s a way to get involved and make friends while using their skills,” Kitten, computer integrated manufacturing technology instructor, said. Club members are currently putting together a model airplane with their own in-house upgrades. While the basic structure for the 7-foot wing span plane will come from a kit, the Makers Club intends to add solar panels for an energy source, rewire the circuitry for a lighter battery pack and install a surveillance camera. Club members will then 3D print landing gear that will protect the plane from permanent damage caused by rough landings. The members even had the privilege of visiting a military drone-building facility, where they had an up-close look at how their different majors come together to build a powerful tool. In the future, Kitten said they plan on integrating both small- and large-scale projects to the club’s schedule. They also will go on more trips to show industry potential and how it directly correlates to classes at Lake Land. Each meeting focuses on hands-on learning to understand and use a new technology. “If you have the imagination to do it, we have the tools to help you,” Ryan Satterfield, club president and a computer integrated manufacturing major, of Olney, said. For more information on the Makers Club contact Kitten at lkitten@lakelandcollege.edu. FINANCIAL AID PROCESS ALL students requesting financial aid must complete the Free Application for Federal Student Aid (FAFSA) at fafsa.gov as early as possible to determine financial aid eligibility. Lake Land College’s school code is 007644. Those who do not qualify for state, federal or local assistance can explore: 1. Paying the bill in-full by the due date. 2. Signing up for the Nelnet tuition payment plan. Lake Land offers the Nelnet payment plan that allows students to spread their tuition payments out over the semester as opposed to paying their bill in full at one time. for the “Enroll Now” button at lakelandcollege.edu the Student Services wing of the Luther Student Center. With Lake Land College’s new mobile app, access to campus is just a click away. The Laker Mobile app is beneficial to students, parents and community members. Students are able to login and register for classes, access Canvas, check their grades and pay tuition and fees. Parents can review important dates on the Laker Calendar, connect to Google Maps and access the Employee Directory. Look for Laker Mobile in your app store today! The Lake Land College Center for Business & Industry is improving and expanding services following the same principles it offers its customers: assessment and opportunities for growth. including 246 employees at Hydro-Gear in Sullivan. Outside of the manufacturing realm, the leadership series program served 18 employees from eight area companies this past year. A specialized leadership series was developed for two additional companies. CBI plays a leading role in providing customized employee training and development services to regional employers. Looking back on the past year, Bonnie Moore, director to Center for Business & Industry, said, “I am very pleased with the center’s accomplishments. During this past year we saw “OUR MISSION IS TO our team’s vision come to life IDENTIFY THE NEEDS as a variety of enhancements AND NECESSARY and benchmarks were RESOURCES TO BEST established that allow us to HELP OUR AREA better meet the needs of our customers.” BUSINESSES MAINTAIN This fall, the Center is excited to launch an employer portal that will allow businesses to register employees for classes, pay for courses online, request courses, view training histories and certificates for their employees and view all courses currently available. “As the needs of our customers continue to change, we are looking for ways of helping them keep up and grow. As part of our own quality control, we have created a manufacturing advisory board, comprised of several area manufacturers, to ensure that the training we are providing is both valid and reliable for our employers,” Moore said. This year, CBI also served more than 1,800 participants in programs such as Ed2Go, the paraprofessional program, conceal carry, dance instruction, CNA, traffic safety courses, Microsoft Excel, technical training courses, blood borne pathogen training and OSHA training. CBI maintains the highest standards for training program assessment, design, delivery and evaluation. An experienced staff and broad range of services ensure responsiveness to a variety of training needs. Training and equipment is mobile and can be delivered on-site at any location, at a Lake Land College facility or at a thirdparty location. Some training programs and courses also qualify for grant funding. CBI provides training in business services, commercial truck driver training, manufacturing skills lab training, professional development, community education, traffic safety programs and facilities/room rentals. “Our mission is to identify the needs and necessary resources to best help our area businesses maintain and grow their workforces and to position Central Illinois as a desirable location for new businesses as well,” Moore said. For more information about the Center for Business & Industry and the services it offers, contact Moore, at bmoore71258@ lakelandcollege.edu or 217-238-8260. NAVIGATOR NEWS HISTORY Navigator News is a completely student-run newspaper and is a member of the Illinois Community College Journalism Association (ICCJA). Students who work on the paper are also members of The Student Press Law Center and the National Collegiate Press/ Associated College Press. And, the Navigator is an award-winning publication within the college realm. A student newspaper was established in October 1967 and was originally named The Lake Land Press. Shortly after, students re-named the paper The Lighthouse. In the fall of 2001, the staff changed the name to The Navigator and in 2002, the paper went online as well as in print. Recently, the paper became known simply as Navigator News. Navigator News has a circulation of 750 printed issues per month with an additional 500 readers online. Derby Roan has a passion for science and a goal of becoming a medical examiner. She also happens to be the editor-in-chief for the Lake Land College student-run newspaper, Navigator News. Roan was a staff member of the awardwinning MHS Mirror, the Mattoon High School newspaper, before coming to Lake Land as a freshman this past fall. She felt Lake Land College was a good fit for her because of its affordability and closeness to home. Once she arrived and became involved with campus life, she found it to be so much more. Roanâ&#x20AC;&#x2122;s love of science and writing led her to write a column for the Navigator News focused on her experiences in the cadaver lab. Lake Land students in Anatomy & Physiology I & II all have the opportunity to work with the cadavers. At first scared about meeting a cadaver face-to-face, Roan was pleasantly surprised at the emotion she felt for the donor who so generously gave her body to education. She is now more certain than ever that she wants to work in the medical field. You can read the latest copy of the Navigator at thenavigatornews.com. You can also follow it on Twitter @NavigatorNews or on Facebook at facebook.com/LakeLandNavigator. Be a part of the Navigator News team for the 2017-2018 school year by calling 217-234-5269, email studentpublications@ lakelandcollege.edu or stop by Student Life in the Luther Student Center, room 044. In the meantime, Roan looks forward to leading the staff this fall as editor-in-chief. She plans to transfer to the University of Indianapolis in the fall of 2018 to continue her academic career. GET STARTED ONLINE @ LAKELANDCOLLEGE.EDU/SCHEDULES LAKE LAND COLLEGE IS NEAR YOU! Take a class in one of our regional extension centers! status, veteran status, sexual orientation or any basis of discrimination precluded by applicable federal and state statutes in admission or access to or in treatment of employment in college programs and/or activities. Limited English language skills will not be a barrier to enrollment, nor will race be a barrier to the receipt of financial aid. The Director of Human Resources, Lake Land College, 217-234-5210, has been designated to coordinate compliance with nondiscrimination requirements contained in the implementing regulations of Title VII of the Civil Rights Act of 1964, Title IX of the Education Amendments of 1972 and Age Discrimination Act of 1975. The Counselor/Coordinator of Disability Services, Lake Land College, 217-2345259 is designated as the Section 504 Coordinator of the Rehabilitation Act of 1973. JOIN ONE LAKER NATION FOR THE 50TH ANNIVERSARY HOMECOMING WEEKEND! Summer 2017 edition of the Lake Land College Magazine.